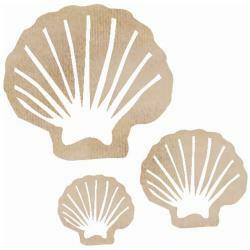 An embellishment is any decorative detail or feature added to a project to make it more attractive. Rhinestones, artificial flowers, decorative brads, eyelets, ribbon, twine, and buttons are a few of the embellishments used in paper crafting. 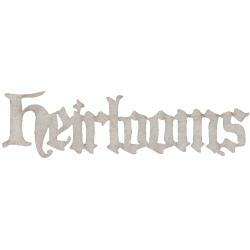 Great for: poster images, photographs, rubber stamps, memory albums, greeting cards, egg crafts, toll paints, and dolls. 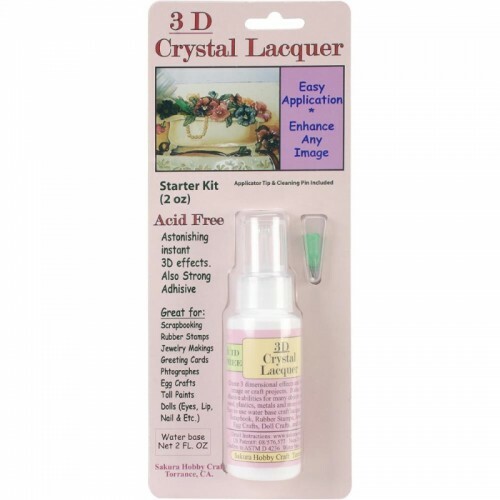 3D Crystal Lacquer is an easy and fun way to enhance and beautify any rubber stamped art, printed image or photograph. Apply acid-free Crystal Lacquer to individual areas you wish to appear raised and allow to dry for 15 to 30 minutes for a protective glossy finish. Additional layers can be applied to give projects a greater 3D effect. Includes 2 ounces of Crystal Lacquer, 0.6mm Fine Applicator Tip and Cleaning Pin. Acid free. Water based. Non-toxic. Conforms to ASTM D 4236. Adult supervision strongly recommended for usage by children. 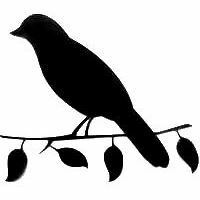 A lovely little bird sits on a branch with leaves in this silhouette die cut in black cardstock from Want2Scrap. Approximately 4" wide and 3.5" tall. 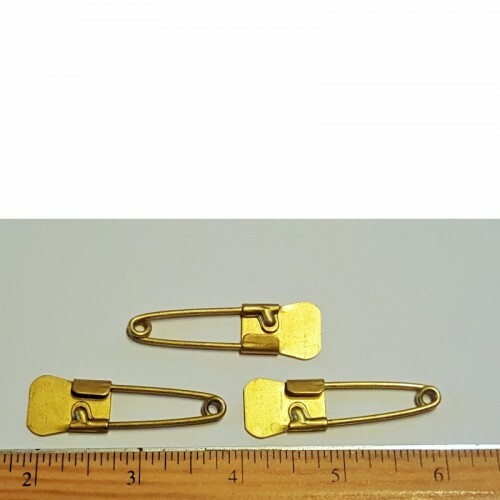 Brass military laundry pins. 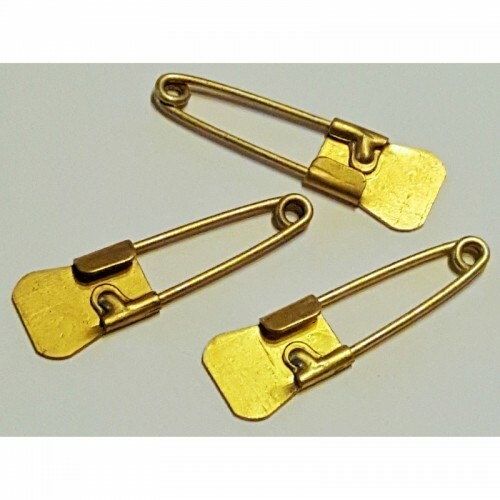 Three (3) pins in each package. About 2" long and 5/8" wide at the widest part. 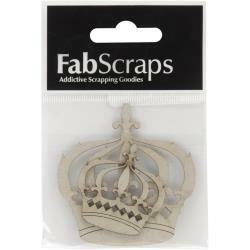 These pins are NOT stamped, so they are perfect for you to stamp, etch or engrave as you like. New and never used. Each package contains 3 pins. 2 Per package - 1 large and 1 small. 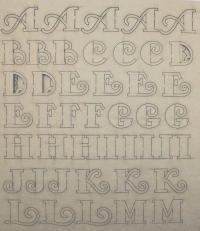 Largest size is approximately 2.25" x 2.25". 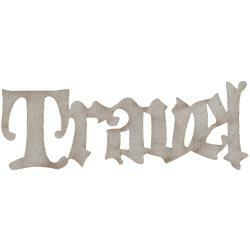 A vintage key, key hole, a bird, a moon (or it can be used as a nest), a branch and the words in a vintage font make this embellishment set perfect for cards, scrapbook pages or mixed media projects. 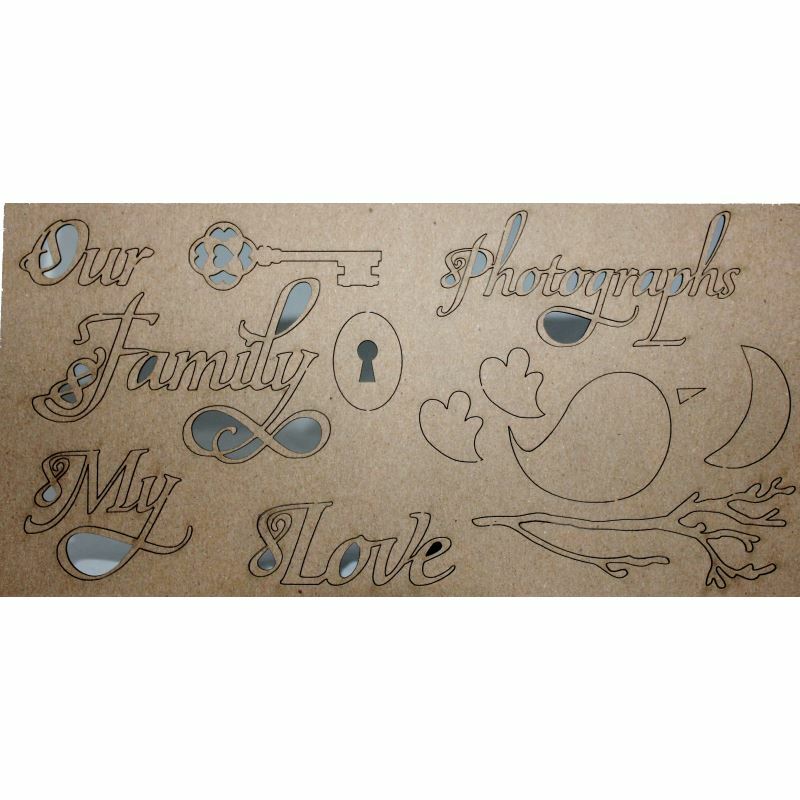 The words include: Our, Fmaily, My, Love, Photographs Chipboard sheet measures approximately 5.5" tall by 11" wide. The word "Family" is the largest word measuring approximately 4.1" wide by 2" tall. Four metal 7Gypsies frames. The largest measures approximately 3 inches by 2.5 inches and the smallest measures approximately 1 inch x 1 inch. Dimensional vintage metal skates great for mixed-metal and altered art jewelry. Each has a small hole for attaching. Six antique nickel finish Ice Skates per package. Each skate measures approximately 1.125" x 0.25". ...there has to be a favorite for this collection and it definitely are these mini ice skates.. seriously, when you see these little guys in person you are going to flip. 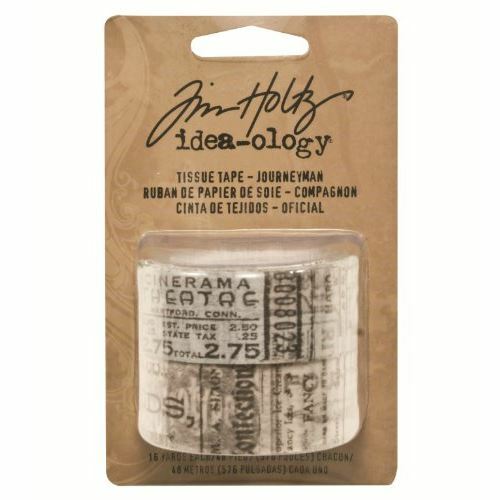 Advantus Journeyman Tissue Tape by Tim Holtz Idea-ology is sheer adhesive backed tissue that is strong enough to adhere to papers and ephemera and decorative enough to use as an accent. 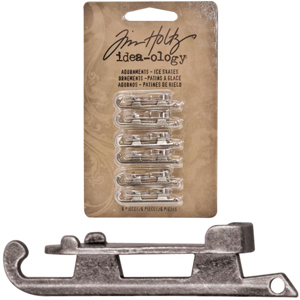 Designer Tim Holtz has teamed up with Advantus to offer his Idea-ology line of unique papercraft embellishments, papers and tools with a vintage appeal. Layers of translucent imagery will leave your creativity craving more. Whatever your artful mind comes up with, there's no doubt you'll find an abundant of uses. Each package contains two rolls of tissue tape and each roll measures approximately 16 yards. 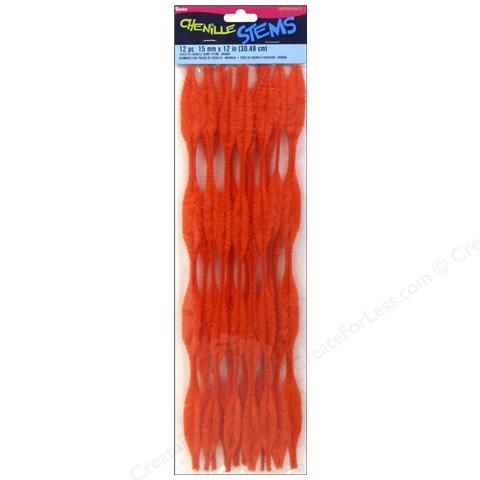 Darice Bump Chenille Stems are wire based stems, like pipe cleaners, that have a bendable core that can be twisted into dolls, animals, ornaments and more. 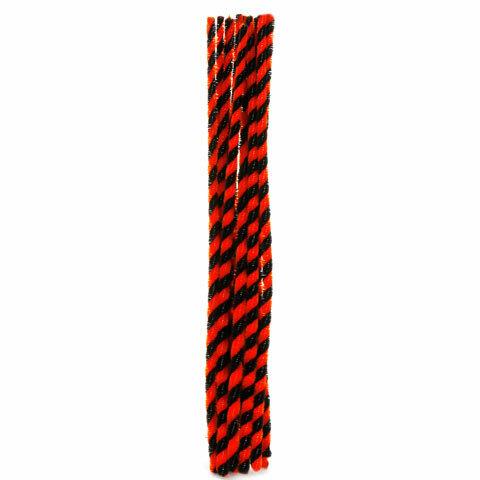 Bend and twist together, string beads onto or combine with other crafting materials to shape unique items. 15 mm x 12 inch. Bumpy. 12 piece in each package. Not recommended for children 5 and under. Nestabling Beaded Square Coral Pearl. 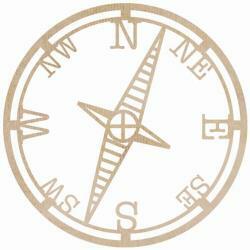 Nestabling coordinates with Spellbinders S4-315 die template. 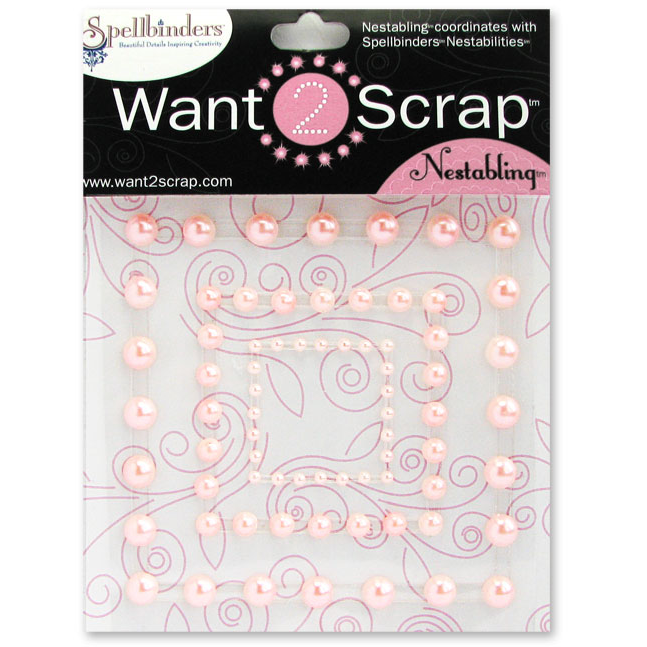 You can use the bling squares "as is" or cut them up to use as strips or even as 70 individual pink pearls. 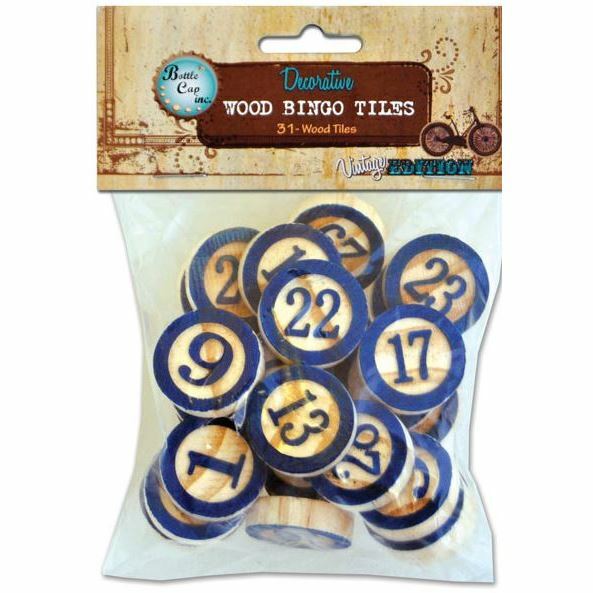 Nestabling Beaded Square Nestabling coordinates with Spellbinders S4-315 die template. 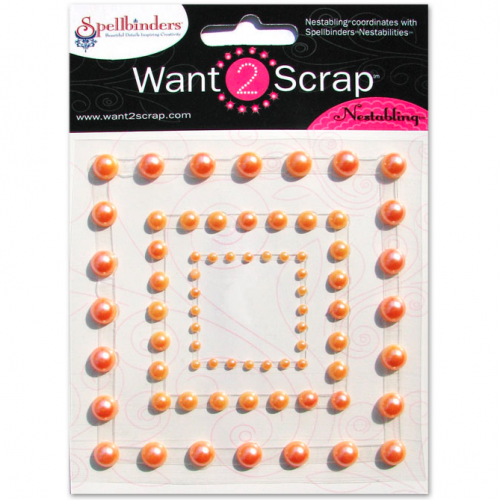 You can use the bling squares "as is" or cut them up to use as strips or even as 70 individual pink pearls. 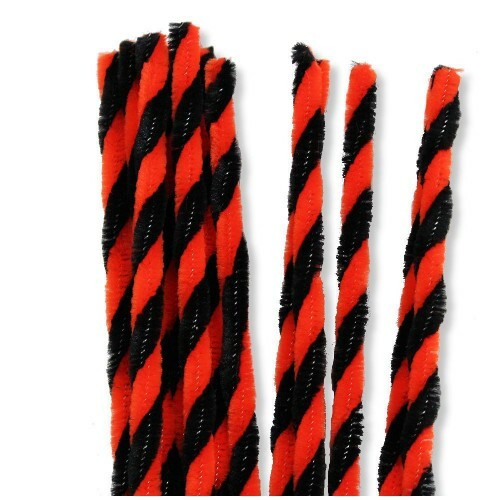 Twisted orange and black chenille stems. 12 inches x 8mm. 12 pieces per package. 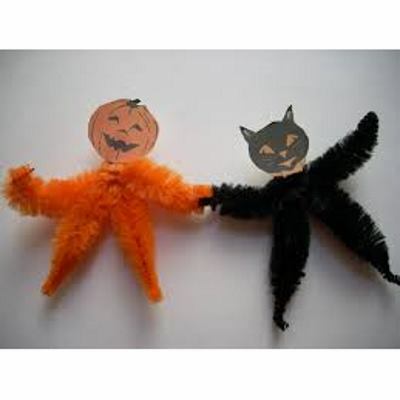 Easy to bend and mold to create designs, shapes and objects, or add on as a fun accent to other craft projects! Perfect for Halloween! 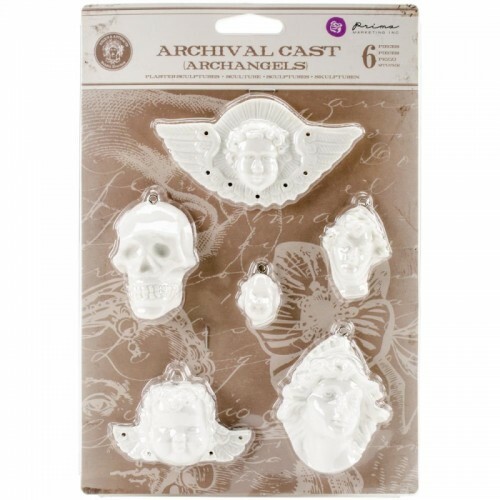 Prima Marketing-Relic & Artifacts Archival Cast Embellishments: Milagros. 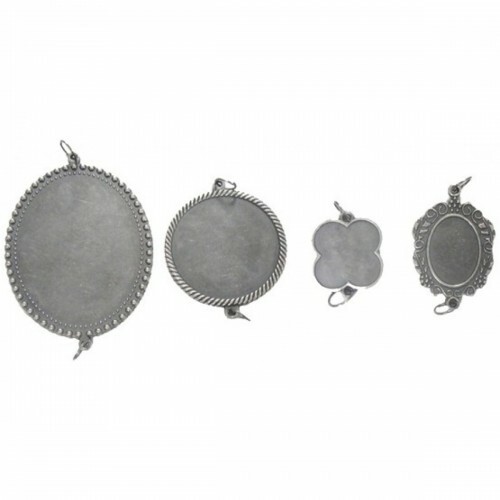 The perfect additions to your mixed media crafting projects and so much more! 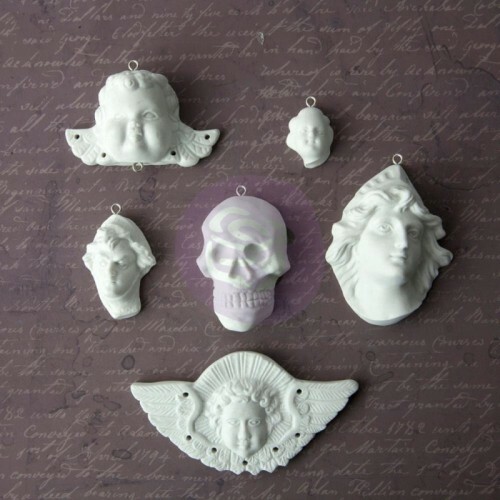 This 10-1/4" x 4" package contains six plaster sculpture pieces. They range from 1" to 2.75" long. Five of the pieces have a small eye screw in the top so you can hang the piece. You could easily snip off the eye screw if you don't want a hanger. Imported.